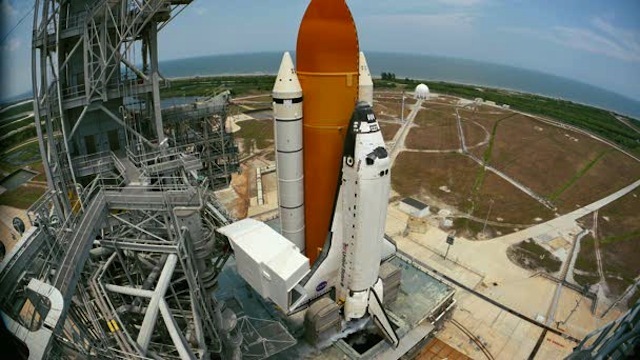 Provide your students or audiences with an outstanding documentary, highlighting the amazing images that the Hubble Space Telescope captures - as well as the fantastic story behind the launch, repair and servicing of this iconic spacecraft. Experience the gripping story - full of hope, crushing disappointment, dazzling ingenuity, bravery and triumph in IMAX Hubble. Through the power of IMAX®, Hubble will enable movie-goers to journey through distant galaxies to explore the grandeur and mysteries of our celestial surroundings, and accompany space-walking astronauts as they attempt the most difficult and important tasks in NASA’s history. The film offers an inspiring and unique look into the Hubble Space Telescope’s legacy and highlight its profound impact on the way we view the universe and ourselves. The film's itinerary takes the viewer past Saturn's aurora, the Helix Nebula in the constellation of Aquarius, the "Pillars of Creation" in the Eagle Nebula, the Andromeda galaxy, and the beautiful Butterfly Nebula. The Hubble Space Telescope has provided data and imagery so detailed that scientists and film technicians have been able to put viewers "inside" the images during two extended CGI fly-throughs. In the most awesome sequence, gaseous clouds billow while million-mile-an-hour stellar winds blow through a cloud canyon in the Orion Nebula some 90 trillion miles across. Combined with footage of the various Hubble launch and servicing missions, and the broader 'Hubble story' , the film offers something for all space aficionados. Bluray 3D: Requires a 3D Bluray player (or Playstation Console), 3D HDTV and Cable, and 3D glasses. Bluray 2D: Requires a Bluray player or Playstation Console. Screening of the movie, when it relates to classroom activity is exempted under Copyright law - and so can be freely shown in classrooms. Screenings to the general public, require a license from the film distributor. KiwiSpace has arranged special pricing and simplified the process for arranging this. IMAX: Hubble makes a great movie for screening at your astronomy club meetings or special events. Not for screening in cinemas. This license does not permit the movie being screened in a cinema-style venues – which require a theatrical license, and require use of either 35mm or DCIP format media. However it can be shown in school halls, conference rooms, etc. Ticket Prices: These rates are for free screenings to the public (although gold-coin donation upon entry is acceptable). If you wish to charge tickets, this is possible – but the fee change depending on your proposed ticket pricing. Contact KiwiSpace and we will help identify pricing. Please note that all attempts have been made to ensure the information on this page is true and correct, but pricing/restrictions are subject to vary – and booked screenings need to be confirmed in writing by the distributor.